There was Discussion below on a reading list for clergy. I thought that it would be fitting to begin where it’s most proper—a brief recommended reading list for laity. Most of these are pretty self-explanatory. Of the modern works, the Ramsey and the Thorton give the primary introductions to Anglican thought and Spirituality; the Johnson books are the best I know at laying out biblical Christology and the creedal core of the catholic faith that fall neither into scepticism (a la Borg and Crossan) or fundamentalism. The Foster has a tendency to get protestant, but is a good introduction to the basic Christian disciplines. This entry was posted in Anglican, Spirituality, Theology on May 13, 2009 by Derek A. Olsen. OK – I’ve read all these except Thorton (and I’m not even Anglican!) – is it worth tracking down a copy? Thornton in brief (at least the bits I got through in a skim of the book): The heart of the Anglican Path is the Mass, the Office, and spontaneous prayer in-between these. Any others you’d recommend as a real live lay-person? What is Anglicanism? by Urban T. Holmes III. That’s a lot of Luke Johnson. And, although he is Orthodox, I recommend Schlemann’s For the Life of the World to everyone. Though not an Anglican, I have always enjoyed the anthology compiled and edited by Paul Elmer More and Frank Leslie Cross entitled “Anglicanism: The Thought and Practice of the Church of England, Illustrated from the Relgious Literature of the Seventeenth Century”–though admittedly it may have led me to the impression that Anglicanism as a whole is more Anglo-Catholic than it generally is. Have you read Dallas Willard’s Spirit of the Disciplines? Well, I’d require “Lord of the Rings”, too — best contemporary mystical writing I know! But that’s just me, I guess. Thanks for all the suggestions! I’m familiar with the authors but not the texts you’ve pointed too, Matt. And no, Toni, I’ve not encountered that writer nor the book. The Church’s Teaching Series is one of the better basic series on what it means to be an Episcopalian. 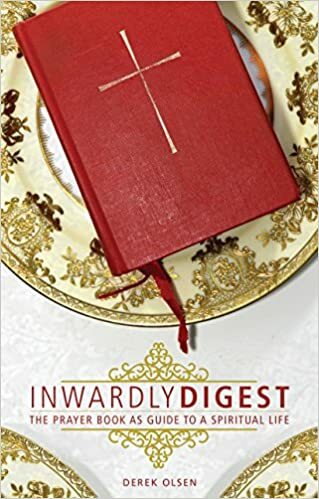 The series is written by a remarkable collection of Episcopal Clergy and Theologians and has a healthy connection with both abstract theology and “where the rubber meets the road.” It’s listed here in full. I would have thought that Michael Ramsey’s “The Anglican Spirit” would be digitally available someplace, but couldn’t find it. I don’t think the others will, but there’s plenty to read at the above links to start out…. Here’s an incredibly beautiful version of the Vidi Aquam, in Latin…. 20 years ago I used “Celebration of Discipline” with an adult study group and was very impressed. The study guide that went with it was particularly helpful.